Last month, I revealed that my TBR was out of control--I mean, horrifically out of control. I've actually made it a bit of a project to get it under control. Well, it's more like a diet...and trust me, it feels like a diet whenever I log onto Amazon to buy some non-book item. And don't give me any of that "It's not a diet--it's a lifestyle" talk. This is a diet, pure and simple! Anyway, I promised monthly updates and here is my first one. Let me start by outlining what I'm counting. I'll be including this with each post. I do have a number of books that fall into the Missed and Duplicates category this month. I'm pretty sure that the reason for this is that, ever since upgrading to Windows 10, my computer crashes on an almost daily basis and sometimes that happens before I save the spreadsheet. I do think that these numbers will be very small, if not zero, going forward. There are a number of subscription box books in this month's purchases. Going forward, this should only be one a month. I thought I had only 2 subscriptions, but then I got a box from Quarterly! Apparently, when the Book Riot box was discontinued, my subscription didn't end as I thought it would, and I got a (not very) Literary box from Quarterly. Once I discovered that, I made sure to cancel it going forward. I also discontinued my "Send Me Swooning" box--I really enjoyed it, but it really wasn't helping me decrease my TBR. 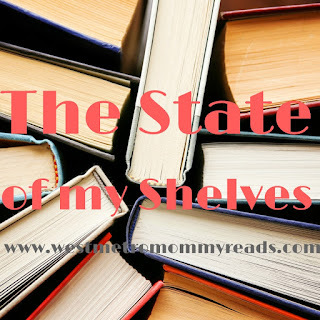 I do have a pre-paid Book of the Month Subscription into the end of this year and I will most likely continue with that one because, of all the boxes, that one really gives you the most bang for my buck. As these were both for my Postal Book Clubs, I will not be listing them here so that my co-readers who receive the books after me can be surprised.